How Much Do People #LoveTeaching? [INFOGRAPHIC] | Gary G. Abud, Jr. 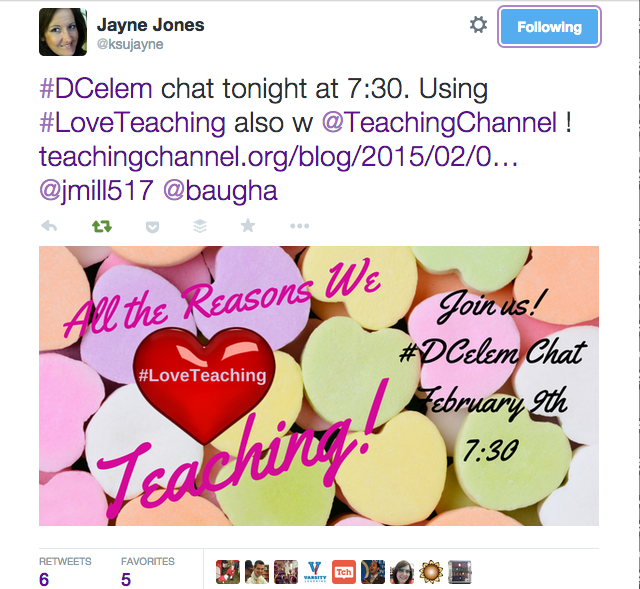 This entry was posted in Education Leadership Learning Teaching and tagged #LoveTeaching Education Leadership Social Media Teachers Teaching on March 2, 2015 by Gary G Abud Jr.
Last Month, educators from around the world collaborated on a campaign to share what they love about teaching during the week of Valentine’s Day. The results are in and the impact on social media shows the project was a tremendous success. Over the past few years, education has had its share of challenges to overcome. From new standards, to fluctuating high-stakes tests, to teaching evaluation legislation and more, there’s a lot more weighing on the minds of classroom teachers than reading, writing, and arithmetic these days. There’s certainly no getting around it, classroom teaching isn’t easy, but that doesn’t mean that there is not much to celebrate about the profession. The #LoveTeaching campaign was grassroots effort launched by three teachers, Tom Rademacher, Sean McComb and me, to focus on the teachers who inspired us in our lives, the reasons that teachers enter the profession, and what’s great about being in the business of education. During the week of Valentine’s Day, educators across the U.S., Canada, Europe, Asia, and Australia shared their love of teaching with stories, pictures, and videos on social media during the #LoveTeaching campaign. All we wanted to do was to add some more positive examples to the narrative about teaching. We hoped we would get some teachers we knew to contribute and maybe have it extend out a connection, or two beyond that through individual blogs or the hashtag, but what happened next surprised everyone involved. The campaign caught the attention of many people. Educators, education organizations, and leaders in education got involved in a variety of ways. From Twitter chats, to blogging, to putting chart paper up in the staff lounge and writing out their reasons they #LoveTeaching. This could not have happened without the promotion, support, and participation of great educational organizations and individuals, of which there are too many to name here. But a huge “THANK YOU!” to everyone who made this a success. The #LoveTeaching campaign sought to honor the great teachers and great teaching that inspire people to go into education, and to stay in the profession. No matter how it was shared, #LoveTeaching week was a chance to celebrate teaching, leading, and learning. Overall, the campaigned engaged millions on social media, was tweeted nearly ten thousand times, and reached tens of millions of people. #LoveTeaching is not meant to be just a week of celebration, but a shift in mindset from focusing on the challenges to reflecting on what brings people joy in education in the first place. With social media comes great power to communicate for a change. Teaching is a noble profession, and it isn’t always easy or fun, but that doesn’t mean there aren’t still reasons to #LoveTeaching. For more information on the campaign visit: http://j.mp/loveteaching, search the #LoveTeaching hashtag on social media, or join in the ongoing conversation online. I personally can’t wait to see what this looks like next year!